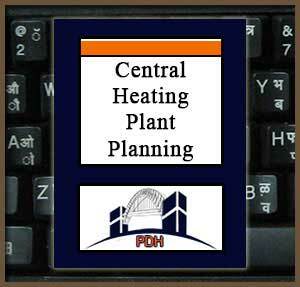 This publication contains data and information as criteria to guide the planning of steam and high temperature water (HTW) central and individual heating plants. Engineering and economic considerations are identified to guide siting decisions, fuel selection, and the choice of either high temperature water or steam distribution media. The primary purpose of these plants is to generate steam and high temperature water for space heat and process steam in the most economical, operationally efficient, and environmentally acceptable manner possible for distribution to groups of buildings.